Amazon Smile is a simple and automatic way for you to support your favorite charitable organization every time you shop, at no cost to you. To shop at Amazon Smile, go to smile.amazon.com and search for BRIDGEWAY ISLAND ELEMENTARY PTO. The Amazon Smile Foundation will donate 0.5% of the purchase price from your eligible Amazon Smile purchases. The purchas e price is the amount paid for the item minus any rebates and excluding shipping & handling, gift-wrapping fees, taxes, or service charges. Clipping and submitting those 10¢ coupons really do add up! Last year we earned over $1,066 for our school and classrooms. Since Bridgeway started collecting, back in 2012 we’ve earned over $6,900! 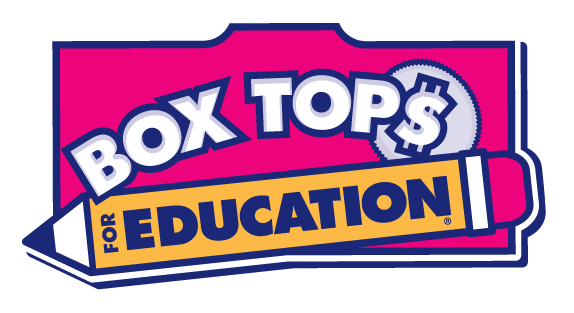 If you are new to the program, you can register as a Bridgeway supporter at boxtops4education.com and see a complete list of products and where you can find Box Tops. Have your friends, family and neighbors sign up to donate online as well. Request your free Nugget Markets scrip card from the BWI PTO. Register online and link to our school and a percentage of your purchases will be paid to the school. To improve the profits to the school, you can also register multiple cards (family & friends) under one account. For more information, visit nuggetmarket.com/community. Download the Shoparoo app. Snap pictures of your receipts from ANY store, big or small, that primarily sell food, health or beauty items to earn "Roo Points" (cash donations) for our school. Whether you're shopping at a supercenter, dollar store, or local convenience store - it doesn't matter where you shop or what items you buy - Shoparoo will make a cash donation for every receipt! Snap pictures of all your other receipts to earn entries for your school into Shoparoo's $1,000 monthly sweepstakes and $15,000 yearly sweepstakes! Each receipt counts as an entry into BOTH monthly and yearly sweepstakes, so spread the word at Bridgeway Island Elementary School - the more receipts you submit, the greater our chance is of winning. Imagine if taking 30 seconds to snap a picture of your receipt from dinner at your favorite local restaurant could result in our school receiving a $15,000 check. Every month Shoparoo will be drawing one lucky school to win Shoparoo's $1,000 sweepstakes, as well as four schools at the end of the year to win up to $15,000! To enter our school into all sweepstakes, simply submit receipts from restaurants and non-grocery retailers. Increase Bridgeway Island Elementary's chance of winning by encouraging your friends and family to do the same.